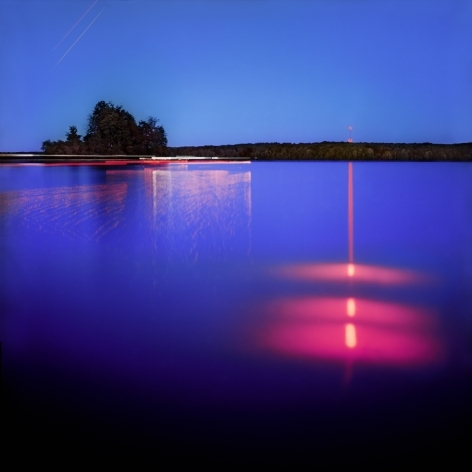 Sous Les Etoiles Gallery is pleased to announce “A Slight Shift,” a group exhibition showcasing the work of acclaimed photographers and installation artists Charles Pétillon, Javier Riera, and Barry Underwood. An opening reception with the artists in attendance will be held on Thursday, March 1, 6-8pm. “A Slight Shift” explores how installations challenge the landscape as a medium as well as a subject matter. With a strong poetic and narrative evocation, these installations propose another image of the real. The physical presence of such elements reveals another aspect of the site: strange beauty offering a new spatial experience to the audience. 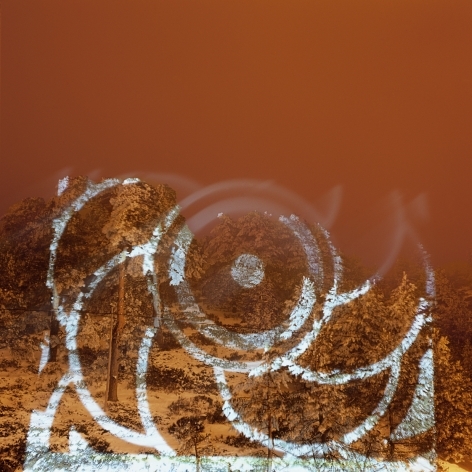 Providing a new interpretation of the landscape, the photographs shown in this exhibition are situated at the intersection of land art, staged photography, and minimalist sculpture; emphasizing the relationship between human and nature along with human and non-human through ecological or political concerns. Charles Pétillon pushes us to reexamine the meaning and metaphors of the everyday in his landscapes. 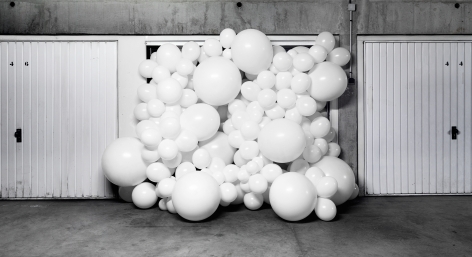 By utilizing something as ordinary as a white balloon in his work, Pétillon enlists viewers to examine these seemingly mundane spaces as something filled with beauty and possibility. In his words, “by placing the structure in a place where it is deprived of sense, I can reinforce the discrepancies of the changes we are living through. 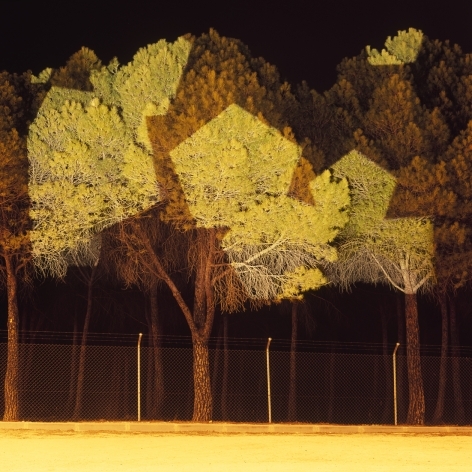 It is impossible to imagine that such an idyllic, picturesque and enchanting place could bear the stigma, or result, of such changes.” Javier Riera, who works with geometrically shaped light projections struck directly onto landscape, tries to echo what already exists in nature. 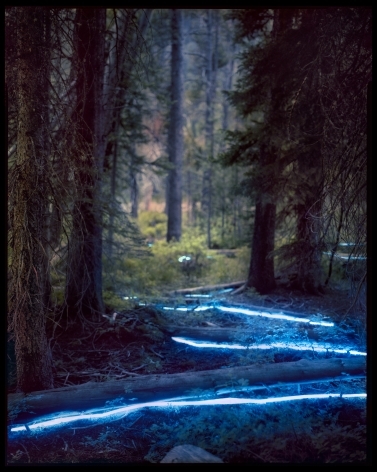 He explains, “these interventions seem to me to reveal qualities and dimensions of something hidden within the spaces where I work.” The environmentalist artist Barry Underwood, marks the landscape with LED lights, luminescent substances and other physical processes, to point to the immutable traces that human interventions leave behind. By staging a visual disruption in an otherwise familiar setting, Underwood seeks to reveal the unseen potential instilled in the landscape. Charles Pétillon (b.1973) is a French artist that creates large-scale installations that are hauntingly beautiful. While the balloons call to mind a childlike humor and innocence, they are also somewhat threatening, which is highlighted by the name of the series itself: Invasions. 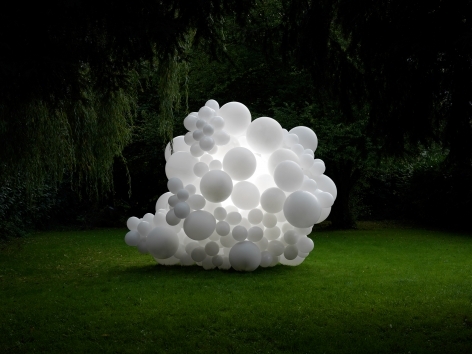 For Pétillon, “These balloon invasions are metaphors. Their goal is to change the way in which we see the things we live alongside each day without really noticing them. 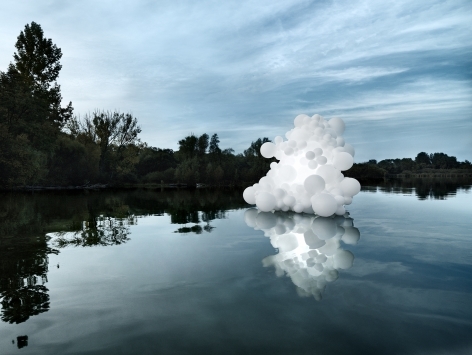 It is our way of looking at things that I am trying to transform and revive, and therefore make it possible to go beyond practical perception to aesthetic experience.” Pétillon has recently been commissioned for several installations, including Heartbeat, which featured over 100,000 balloons installed at Covent Garden in London. Barry Underwood (b.1963) is an American artist that draws from his early theatrical training and is influenced by historical methods of staged photography and constructed set design. 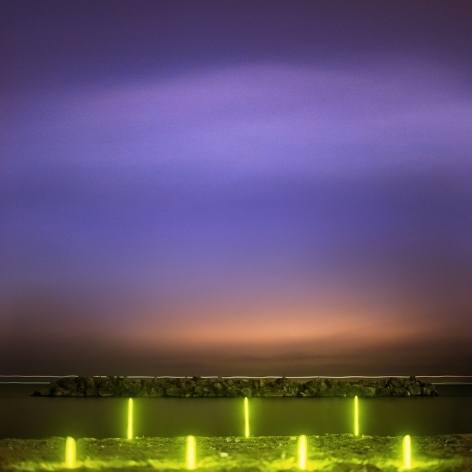 Underwood seeks to transform ordinary, everyday vistas into unique and often surreal experiences. 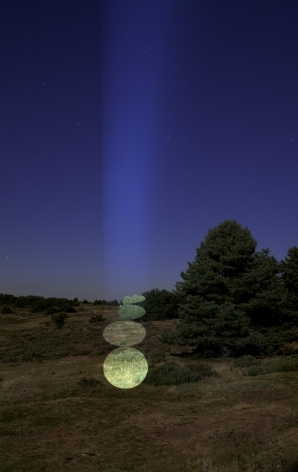 Both Underwood’s installation process, which uses actual structures and may take several days to complete, and his documentation, employing long exposure times to harness the area’s ambient light, rely as much on the artist’s ability to harmoniously collaborate with nature as disrupt it. His photographs are made in various locations around North America, with many of them shot during artist residencies, such as The Banff Center for the Arts (Canada), I-Park Foundation (CT), Headlands Center for the Arts (CA), The Center for Land Use Interpretation (UT), and The MacDowell Colony (NH), among others.